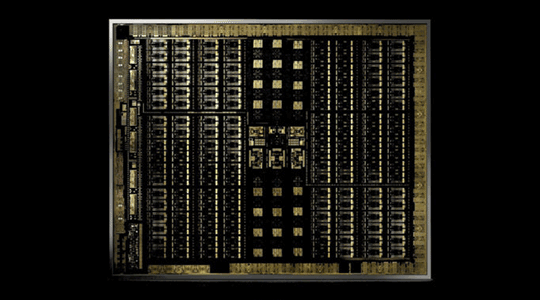 More Turing-based graphics cards are on their way. When they’ll drop is up to speculation, but we now have confirmation of the GTX 1660 Ti’s existence, if nothing else. Companies like MSI and Gigabyte have recently filed with the EEC to announce upcoming releases. In those filings, (here’s MSI’s) we can clearly see listings for numerous GTX 1660 Ti models. MSI currently has 3 models referenced, the GTX 1660 Ti GAMING Z 6G, GTX 1660 Ti ARMOR 6G OC, and a basic GTX 1660 Ti. Gigabyte’s list is more expansive and they have a total of 11 models listed in their EEC filing. Rumor has it, the GTX 1660 Ti is aimed to perform somewhere between a GTX 1060 and the GTX 1070. It’ll allegedly be using a cut-down version of the TU106 GPU used in the RTX 2060, named the TU116. The fact that it’s using the GTX branding instead of RTX clearly tells us this card will not have raytracing capabilities. A good move by Nvidia, but the RTX 2060 should have also skipped raytracing and launched as a GTX card, ultimately making the 1660 Ti pointless. But… It didn’t… So… Yeah… Now we’re getting a 1660 Ti. The 1660 Ti currently has no official release date. However, it’s expected to drop sometime in February around/after Valentine’s day (the 14th). Again, there’s nothing official so this date could be way off… But, something tells me it’s fairly accurate. I wouldn’t be surprised to see the “official announcement” sometime within the coming week. Rumors of a GTX 1660 and a GTX 1650 (GTX 1160?) are also kicking around. These will be more budget-friendly models that’ll ship with GDDR5 memory and likely end up performing like a GTX 1060 (GTX 1660) and GTX 1050 Ti (GTX 1650) if I had to guess. Personally, I don’t see much point here… But, sure Nvidia, you do you. There are no concrete estimates on release dates, but most suspect they’ll both release in March… I wouldn’t hold my breath waiting for these 2 cards as I’m quite certain we have options right now that’ll match/beat them for similar (if not better) prices. As of right now, the rumors regarding these card’s price are as follows. $279 for the GTX 1660 Ti, $229 for the GTX 1660, and $179 for the GTX 1650 (potentially named the GTX 1160 instead). However, as these are not official numbers, they’re subject to change.